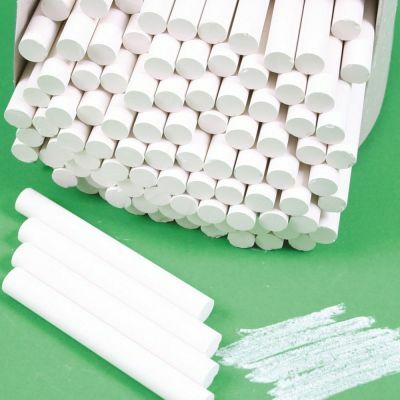 Unlike some pens, chalk is non-permanent and can be easily removed from most surfaces making them ideal for classroom environments especially among younger years. Great value for money whilst also being child safe, a great accessory to accompany our chalk slate boards. Available in handy boxes of 100, each stick is 8 x 0.9cm long.